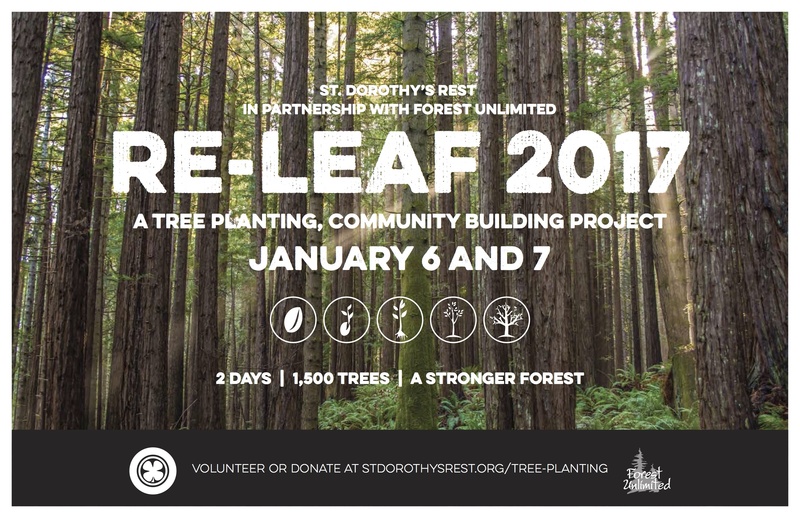 On January 6th and 7th, over 100 volunteers gathered and planted 1,400 redwoods at St. Dorothy’s Rest. Thank you to volunteers, donors, our sponsor organization Forest Unlimited and the generous grant from the Mohrhardt Foundation for your dedication and support of our forest restoration efforts. 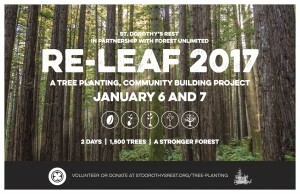 Couldn’t Make is to the Tree Planting Event but still want to support our forest restoration efforts? Whether you are able to join us for this event or not your contribution is appreciated. If you have any questions contact Sara Gunter at sarag@stdorothysrest.org.